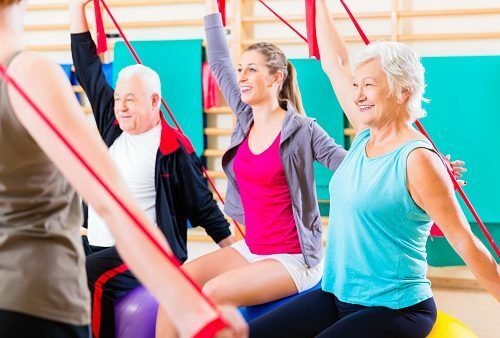 Memory dysfunction in type 2 diabetes patients can be improved with moderate exercise, according to research. The scientists set to investigate whether hippocampal glucose metabolism and memory function is altered in a rat model of type 2 diabetes. Based on the notion that exercise improves memory function, the researchers wanted to determine if it would affect hippocampal glucose metabolism, too. The researchers found that rats with type 2 diabetes needed more time to find the platform to escape the water. On the other hand, after four weeks of exercise, the rats got better at finding the platform. This goes to show that exercise can help improve spatial memory. The findings indicate that moderate exercise can be a beneficial way to improve memory, especially among type 2 diabetics. Keeping blood sugar at a proper level can go a long way in managing diabetes, but there are other steps you can take to keep your symptoms under control. Sleep is critical for everyone, but research has shown that poor sleeping habits can increase insulin resistance. It has also been proven that sleep has a positive impact on memory. Getting seven to nine hours of uninterrupted sleep each day is recommended. Exercise is also good for the brain. Physical activity releases endorphins, which can enhance mood. Some studies even demonstrate that exercise can create new neurons responsible for memory. Along with exercise, a nutritious diet that is low in fat and rich in fish, fresh fruits, and vegetables can nourish the brain and keep glucose levels steady. Like most diseases, diabetes can get worse if you are stressed out. When we are faced with a stressful situation we get excited, and as a result our bodies tend to pump extra sugar through our blood stream. Although opinions in recent years have been mixed on brain training, there is a large body of evidence suggesting that when we stimulate our minds it helps build mental muscles. This could mean that doing crossword and sudoku puzzles or challenging our memory in some other way will help prevent cognitive impairment. If you or someone you know is experiencing short-term memory loss or severe memory loss, it doesn’t necessarily mean that they have diabetes. There are a number of different reasons they could be having difficulty remembering. Diagnosis can take time, so it is important to mention any problems with memory to a doctor as soon as you notice them.